Getting ready to install your mantel on your fireplace? 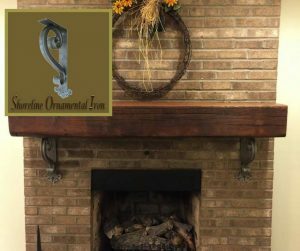 Here are tips for positioning and installing your fireplace mantel, giving it a well-balanced look using angle support brackets or corbels. After doing your research on fireplace mantel ideas, shelving ideas, and with final decisions made, it is time to take action. Here you are, you have a beautiful mantel and stunning angle brackets and you’re ready for installation. Of course, you are going to purchase the correct bolts or lag screws, washers & wall anchors (if needed). Now, you need to decide on the positioning of the brackets, for installation, under the mantel piece. I have observed that when the thought hasn’t gone into the positioning of the brackets or corbels it can result in an ununiformed or unbalanced look. In other words, the mantel doesn’t have a balanced look on top of the brackets. This is, in most cases, a situation where the brackets are not centered correctly. This results in the brackets appearing too close together or too far apart. There is no science to it but if you follow these tips you may avoid that imbalance appearance or look. 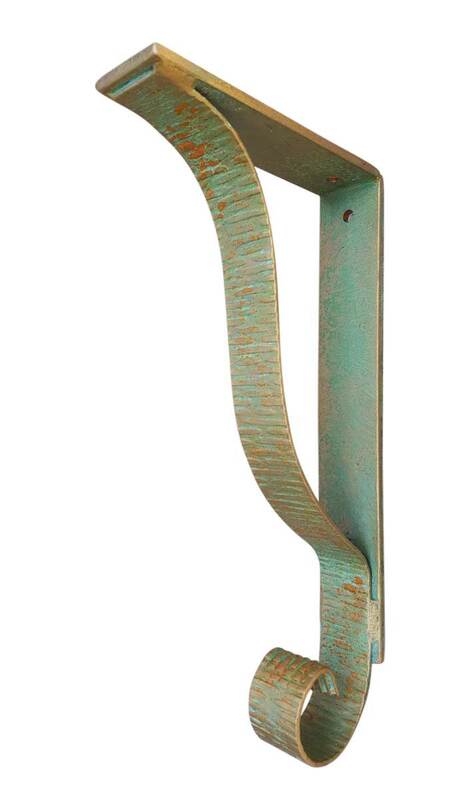 Mantels 2” Thick or more and 7-12” Deep- Brackets can be spaced up to 48” apart. That means, you would place a bracket 24” to the right and 24” to the left of the mantel’s center. It is ideal to bring the brackets in from the side at least 6-10” (depending on how long the mantel is). If you install the brackets too far to the sides of the mantel it will not look balanced. Or, installing your corbels, too close together won’t look good either. Also- just a side note: When possible, position angle brackets into a stud wall for best results. Use Heavy Duty Brackets for Shelves for strength and best look. Do not cut corners with weak and flimsy wall brackets. 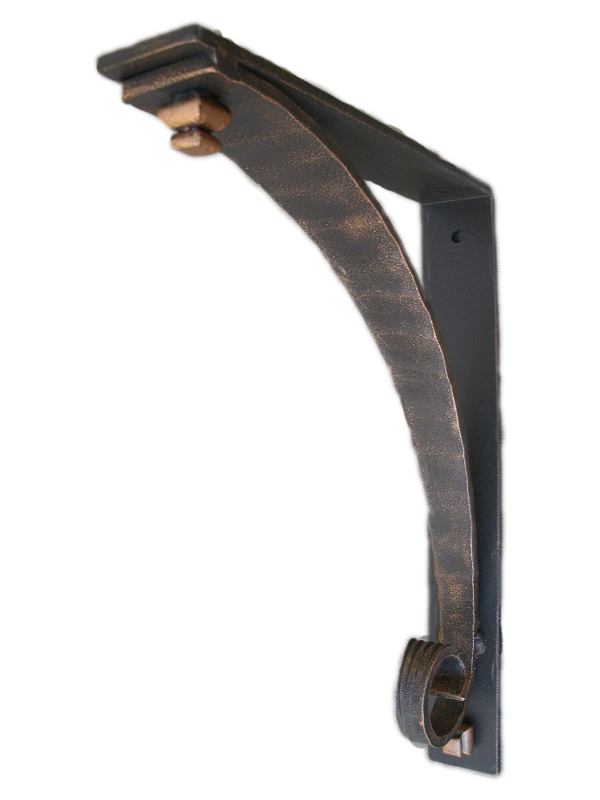 There are many decorative shelf brackets available to choose from. It is a good idea to do a layout of the mantel and support brackets on the floor in front of the fireplace. This allows you to get a visual of the positioning. Get someone, who has an eye for design, to help with bracket position and balance. If you have professional installers, that is good, but sometimes they are great at installation but maybe not so good at positioning and balancing. With using these tips you should get great results and enjoy your fireplace and beautiful mantel for years to come.